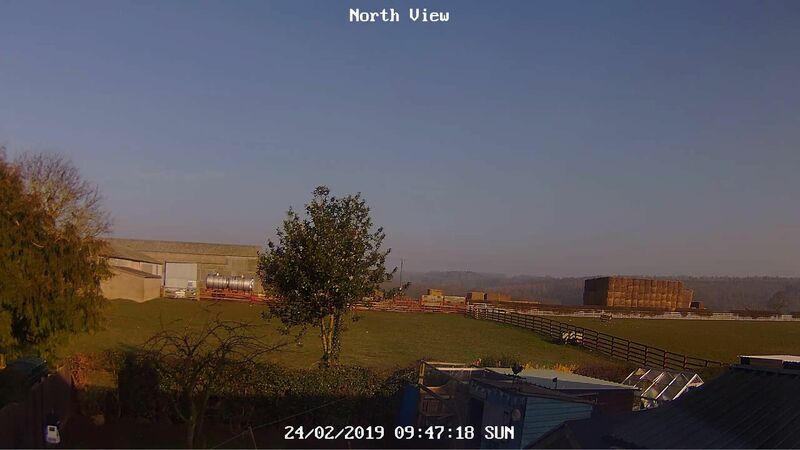 A colder start than for several days, cloudless and a bit misty, no ground frost with a low of 2.8 C.
0800 fog now rolling in but sky still visible, dense fog at the airport. A dry, clear night and a mild, cloudless and sunny start to this morning. A few mist patches in the valleys. Clear overnight, again thick fog rolling in just before dawn, visibility <50 yards. No change at observation. Maximum temperature to 18:00 GMT yesterday 14.6c. Minimum temperature on grass 0.1c. Barometer 1033.2mb Trend rising slowly. Clear spells overnight, low cloud and fog rolling in from the east just before dawn. Visibility at dawn <100 yards. Fog lifting to low cloud and mist by observation. The low cloud broke up and cleared away late morning, leading to an afternoon of unbroken sunshine. Cracking start after early fog and mist has finally cleared. Wales has (provisionally) just broken it's highest temperature record for February. Another very mild and sunny day, the sunshine becoming hazy after 1600 due to Ci in the western quarter of the sky. Dry and sunny all day with near-record temperatures for February this afternoon after a cold start with a ground frost. Maximum 16.8, minimum 1.3. Wind light E.
Yesterday: dry and very mild with long sunny spells after a foggy start. Maximum 16.4, minimum 5.5. Wind light SE. Slightly cooler last night with 4.1c min and some fog briefly first thing. 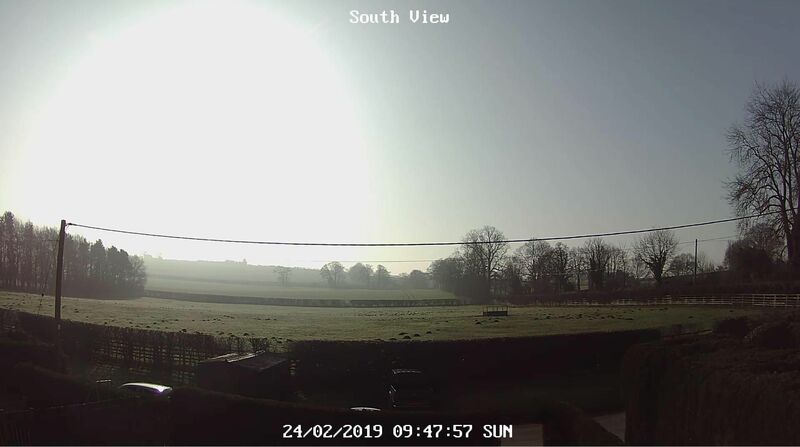 Then felt quite warm this morning in the sun but once again high cloud came this afternoon max 12.3c down to 11.5c this afternoon. Beautiful blue sky once the very early low cloud dissipated.